Simplicity 2154 has become my go to pencil skirt. 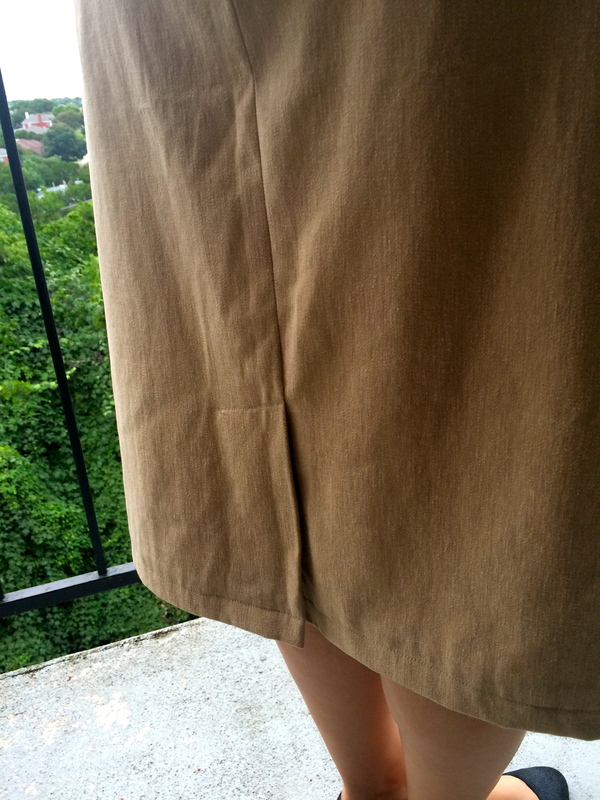 Not only is it very comfy to wear, it’s extremely easy to sew! I would definitely recommend this pattern for someone who is new to sewing. 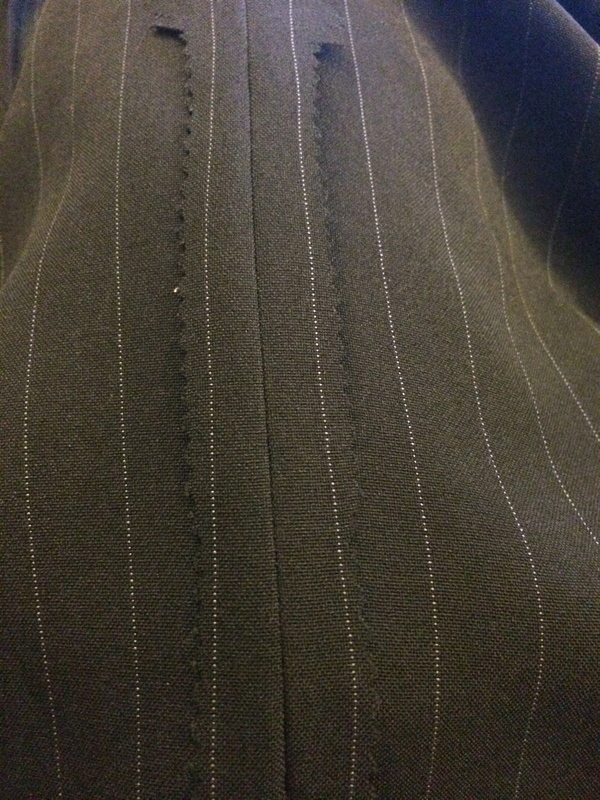 Pinstripes! 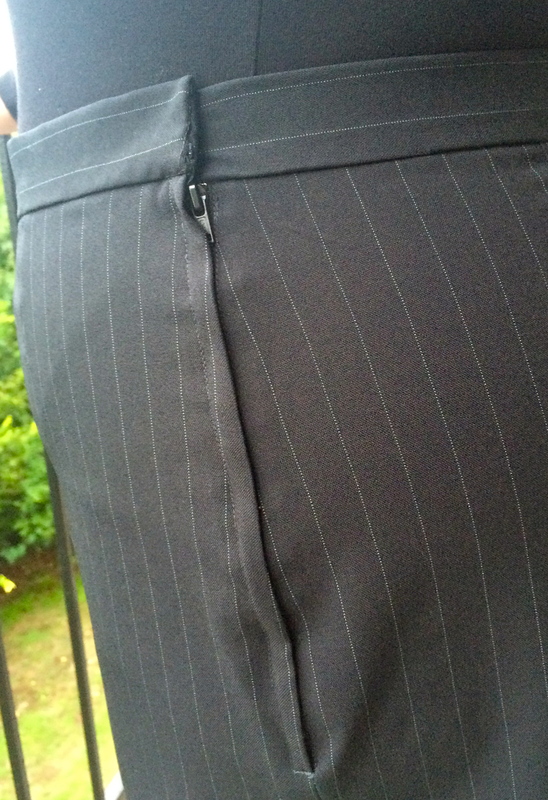 About a year ago I discovered fabric.com and found this really lovely black with white pinstripe polyester suiting that I knew would have to be a skirt. It took me long enough to find the right pattern but I’m glad I waited. I installed a lapped side vintage metal zipper on the left side. I’m not too crazy about how the zipper lays with the fabric but tha’s my fault for insisting on using a metal one. It’s nice to use different feet sometimes. Luckily I had a blind hem foot although I don’t trust the stitches. I made a ham out of a towel! It worked ok but I’ll definitely invest in real one soon. So pressed! Love it. It’s the simple things. My next skirt was made from a fabric I don’t know much about. I purchased it at Savers for $2. It almost has a denim feel with a soft exterior and was kind of difficult to iron, so sorry about all the wrinkles! I noticed after my husband took the pictures that there’s a very obvious crease in the front near the dart. How annoying! 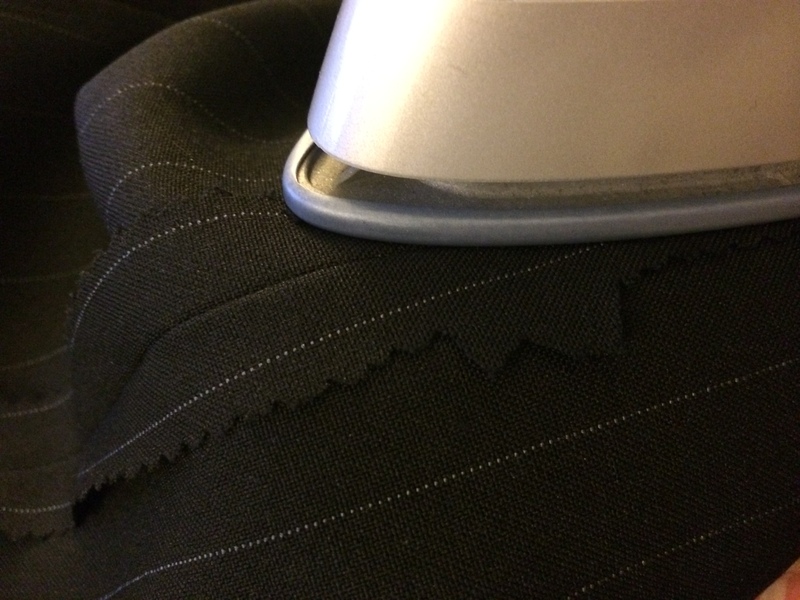 Like I said, I had ironing issues:p.
I didn’t use a blind hem on this one though. Sometimes I like to see the stitches, which is weird but it’s a personal preference. The total paid for my fabric was $7. Not bad for two pencil skirts! Not only are you a talented seamstress, but you’re thrifty too! You must have a huge wardrobe by now. Yes I do! So many skirts. It’s time to move on to tops! Thanks! OF COURSE I want knit fabric! 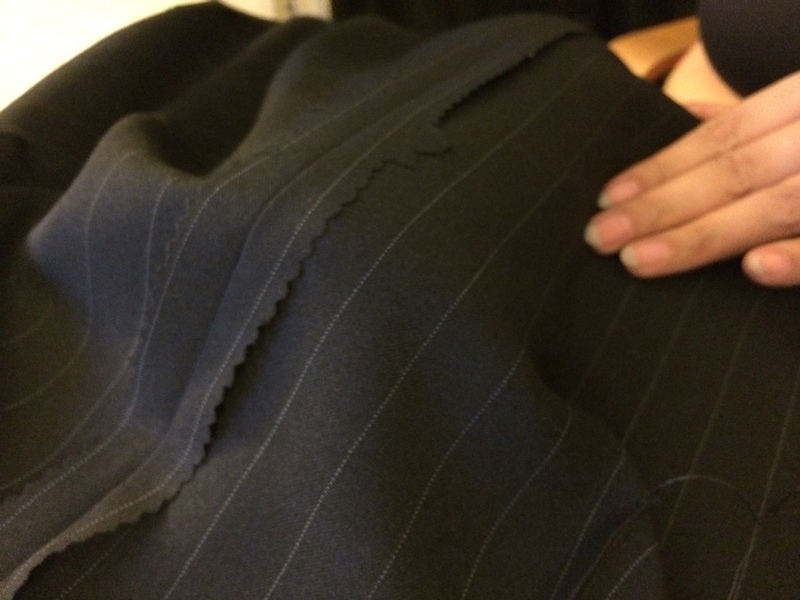 I need to learn how to sew it better.